To sell or to disrupt? A few weeks ago we received an email from a county Emergency Manager in the United States. The unnamed manager was excited about SeeClickFix as a gateway reporting tool to emergency and crisis reporting. His vision was that citizens would use SCF as an easy on ramp to reporting to city government for issues like potholes and graffiti in their every day comings and goings. In an emergency they would use the same tool that they had already acquainted themselves with to help out their neighbors in an earthquake, fire or other natural disaster. Not only would they be able to quickly report issues to their government but to their community as well. We were excited to get started in this new county with the endorsement of Emergency Management but the idea was quickly shot down in a meeting in which we demo'd the product to Public Works and other non-emergency service departments. The other managers were upset that someone was proposing that citizens be able to give more feedback. The Emergency Services manager felt bad for our Government Relations Manager and ended the call early only to be reprimanded afterwards by his co-workers for suggesting an additional layer of accountability in the name of public safety. Sadly, it is not always easy being a forward thinking individual that puts the interests of tax-paying citizens first when you're working inside an institution with a lot of cob-webs to dust. Sometimes I feel like a therapist for these officials who think that what they are experiencing is unprecedented. Of course there are always barricades in every city to open government. If there wasn't SeeClickFix would not be championing civic disruption as the first step towards open government. So what tools are best suited for this situation? How can we assist the Emergency Manager from the outside without placing his job on the line? 1) The Sales Pitch Top Down: Politics is always a good angle though not our favorite. I might email the Mayor and pitch him on this great idea that a nameless employee had. We've found that open government has made its way into the political agenda of many municipal officials. A campaign to increase participation and safety at the same time would be a great way to hold staffers accountable and garner public favor. 2) The Disruption Bottom Up: We could get the word out to citizens in the county through media widget embeds and community groups. When issues were reported alerts would be sent to the Public Works Director's email and residents could get their attention regardless of whether or not it was being asked for. Now the Citizens would be telling the Public Works Department what to do without invitation and the Emergency Management employee could work with the City to help adopt this new form of participation. For the sake of this experiment I'll try both and keep you posted. On Christmas Eve, Grist released "Seven New Year's resolutions to make your neighborhood a better place." SeeClickFix came in at resolution number 5, where "if you see something, say something." Other resolutions suggested were planting something, picking up litter, getting to know your neighbors, finding who you government representatives are, shopping locally and going for a walk. Yesterday, Philly.com also featured a New Year's Resolution list on how to be a better citizen. Coming in at number 6, SeeClickFix was featured as a way citizens can communicate with the city. Well we agree, what better way to start off 2011 by making your neighborhood a better place... and using SeeClickFix! SeeClickFix users have helped improve a dangerous intersection in New Haven. Last month, there was a post on the SCF blog about the intersection of Livingston and Edwards Streets because the issue received so much attention within hours of being posted. Users noted the limited visibility for drivers caused by illegal parking and said that speeding cars only worsened the problem by placing more pedestrians, cyclists, and drivers at risk. The City of New Haven has responded, and a speed table will be added to the intersection of Livingston and Edwards Streets. raised about six inches to slow traffic at the intersection. The City will also add bump outs (which extend the curb further out into the street in order to slow down turning vehicles and reduce the amount of time it takes for pedestrians to cross). Lastly, according to the Independent, "The intersection will also feature planted medians, textured and multicolored crosswalks, and yellow-patterned paving" along with newly planted trees. The City hopes that drivers will see all of these changes as "visual cues" to proceed through the intersection more carefully, in addition to the other infrastructure changes mentioned above. For more information about how speed tables have worked elsewhere, check out Mark Abraham's post on this improvement on the New Haven Safe Streets Blog. As Mark points out, not only do speed tables calm traffic, but they can also help increase the sense of community in the area by making the street a more inviting place. 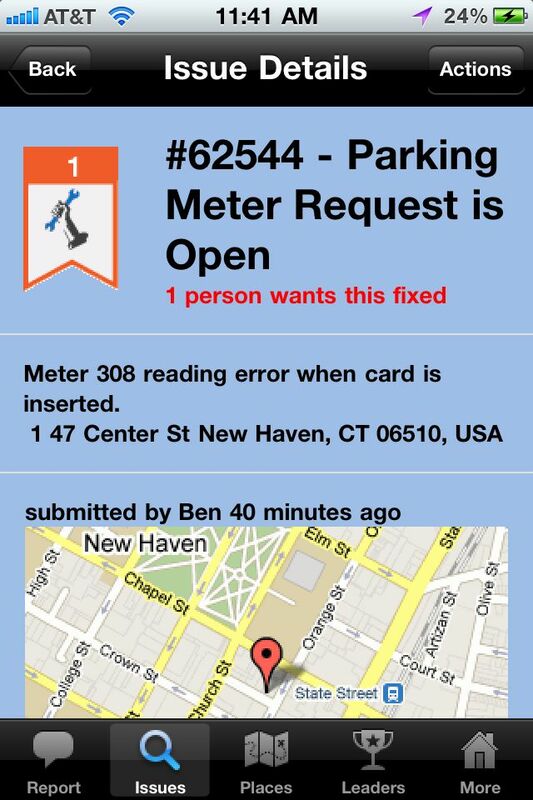 Great work by our users, the City of New Haven, and the New Haven Independent. Last week as Minnesota was hit with a huge snow storm, the citizens of St. Paul turned to SeeClickFix to bring attention to areas that needed the most help. Over 40 snow related issues reported in St. Paul alone ranged from unplowed streets, bus stops, sidewalks, and snow covered traffic lights. We give a special thanks to the Minnesota Public Radio, who has made it possible for the citizens of Minnesota to report community issues on the SeeClickFix map widget straight from their site. Any snow storms coming towards your town? Be sure to utilize SeeClickFix! Huntington, NY fixes problems FAST! Residents of Huntington, NY are speaking up via SeeClickFix -- and local authorities are stepping up fast! It’s impressive to see local government responding to issues in such a timely manner. Huntington authorities have been wisely delegating the problems that are reported, which boosts the feel of collaboration and engagement within the town. For instance, when a traffic light problem was reported about a month ago, the issue was sent to the director of transportation for Huntington, who promptly routed it to the New York State DOT. The light was fixed within a few days. The grateful citizen closed the issue, and all was well again at the intersection of Eldorado Dr. and the Jericho Turnpike! In another case, a tenant reported “No heat or hot water” at an apartment complex. The problem was fixed in ONE DAY with the help of another 311 platform, HeatWatchNYC, which was created specifically to address heating and water issues in New York City and operates similarly to SeeClickFix. It’s great to see this kind of teamwork in addressing community problems. 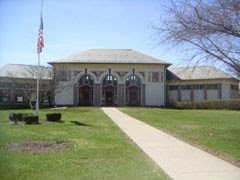 Huntington is a unique and forward-thinking town, interested in utilizing technology to improve the community. The Huntington Water Treatment Plant has become the first location in the country to install a new technology compressor in one of the plant’s blowers, which is projected to save around $80,000 a year. The town is also working on a major renovation of Betty Allen Park Preserve, a popular hiking and nature observation area with a freshwater pond for fishing. In addition, Huntington has released several open datasets through their online library to help citizens find community info and forms. Helping and empowering citizens is obviously a priority in Huntington, NY. It’s our top priority too! We look forward to working with Huntington to solve more issues FAST. 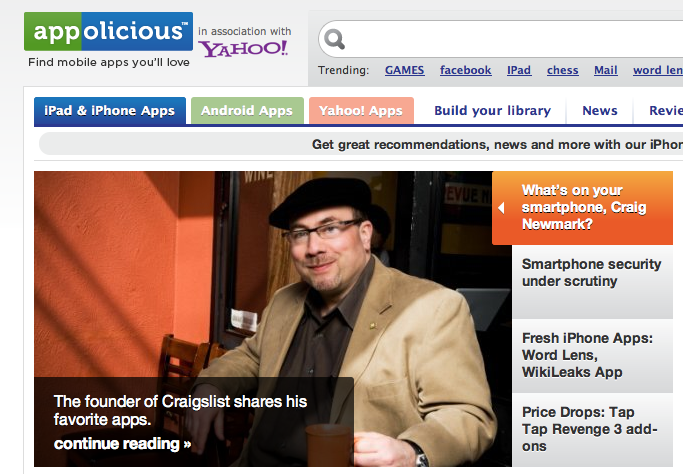 SeeClickFix is on Craig Newmark's phone and its his fav! Appolicious asked Craig Newmark, founder of Craig's list, what's on his phone. Check out the post here and get excited for our shiny new app to be released in the first week of the New Year! If you've never heard of this little site Craig runs you should check that out as well. This weekend on Need To Know Anya Kamenetz and 8 other thinkers discussed their big ideas for how to fix America in a segment aptly called "How To Fix America"
- Opening the conversation around race such that talking about race is not considered racist. - Changing the public welfare system to guarantee more public service jobs while throttling back handouts. - Opening data and the wealth of government information to allow for a more informed and distributed self governed society. 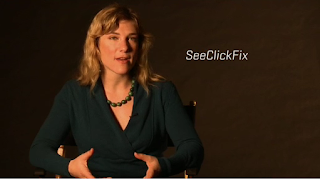 Anya, discussed SeeClickFix as the focal point of her segment as a great example of increasing participation by opening data and increasing access points. She sites SCF because, "Most importantly your neighbors can see what your concerns are, which aggregates your voice in a very powerful way and it connects directly to government so it does not go unnoticed." Its exciting to see authors like Anya bringing the transformation of local community's and their governments to the near front of popular culture on national networks like PBS. The only way we can help every community help itself is if they "Know." 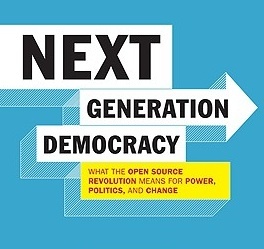 Check out the segment on Need To Know and Anya's article on the open government movement in Fast Company this month. Today rrstar.com launched "Problem Tracker" with the SeeClickFix map widget featured as it's main problem tracking tool. 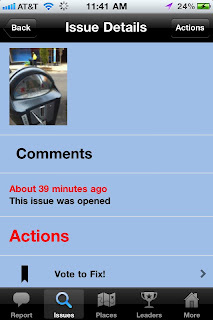 Users in Rockford, IL can now report and track issues that are reported in their community. We think the page looks rockin! 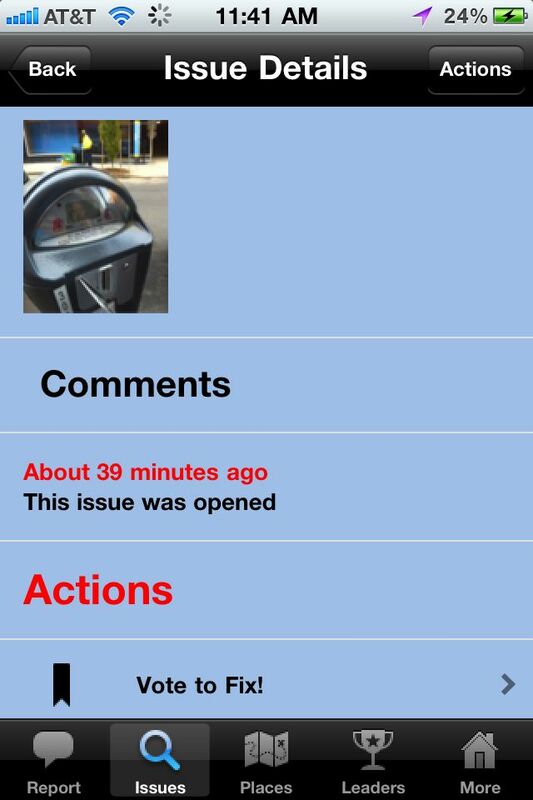 Yet another community group is using SeeClickFix to report issues -- the Meridian Hill Neighborhood Association (MHNA). This non-profit, forward-thinking organization is dedicated to the improvement and beautification of the community surrounding Meridian Hill Park in Washington, DC. The boundaries of MNHA are relatively small (a few miles square) but these civic-minded citizens make a big impact on their corner of the world. Taking responsibility for their area, encouraging public involvement -- those are a few our favorite things! Naturally, SeeClickFix is proud to help MNHA in their efforts to create a better community. The association has been working tirelessly to foster relationships between neighbors, businesses, developers, schools, churches, and local government. Toward that end, MNHA heads up all kinds of involvement projects: litter clean-up, lobbying for green spaces and walkable areas, “meet & greet” with local officials, and more. Their website is a valuable resource for citizens, featuring meeting agendas, local business listings, and an informative blog, along with pertinent city info like weather and holiday trash schedules. SeeClickFix is a great tool for such a proactive group. MNHA created a watch area for their boundaries, so they can follow issues within the area and keep group members aware of local activity. Plus, a reporting widget on the MNHA website is coming soon. Community groups using SeeClickFix help to foster citizen involvement. We’re excited to be part of what MNHA is doing in their area. Welcome aboard and keep up the great work! 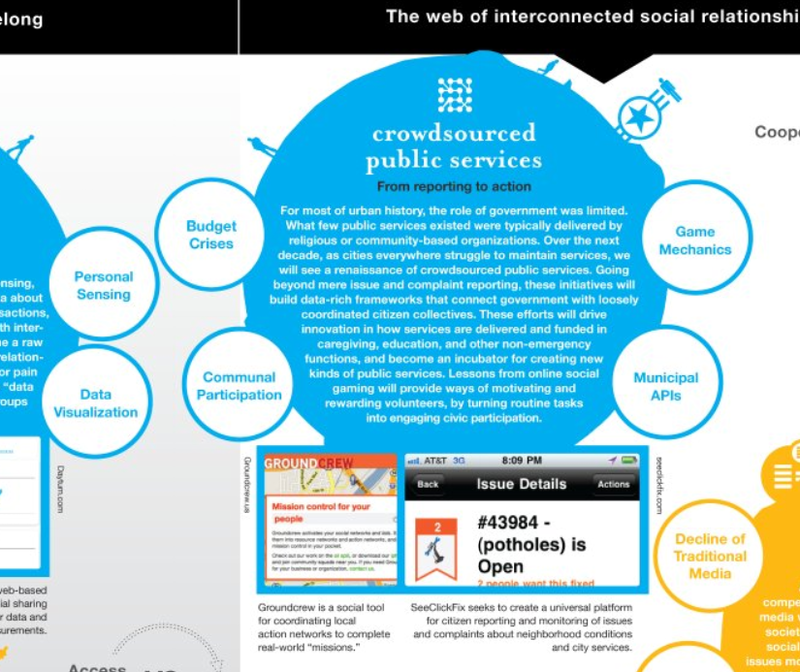 The Rockefeller Foundation released an info graphic today displaying the "The Future of Cities, Information and Inclusion" In a a Fast Company story titled The Battle for Control of Smart Cities the highly informative graphic is discussed in more detail. One of the bubbles in the graphic: "Crowdsourced public services (best exemplified in the U.S. bySeeClickFix)"
Our friends at CroundCrew are also shown in the graphic. If you have not yet, you should definitely check out their platform for mobilizing citizens to solve problems in the public space. Below is a snapshot from that graphic. Today SeeClickFix was mentioned in the Parker Spitzer blog "Mele: Give Assange internet access." For a Parker Spitzer exclusive blog post, leading expert in social media and Web 2.0 politics, Nicco Mele was interviewed with five "OFF-SET" questions, one of them which prompted Mele to highlight SeeClickFix. Mele was asked "do you think the internet is turning us into more informed citizens and improving the civility of our society - or is it helping segregate Americans into separate groups based on what people say they believe?" Mele responded, "When I look at the wide range of exciting and engaging things happening online to better engage citizens - projects like SeeClickFix and Wikipedia - I think that the internet is transforming our society for the better." Mele further explained how he believes the internet will be the "engine for civic innovation." SeeClickFix thanks Mele for the mention, we love it! Check out Mele's appearance on the Parker Spitzer show on CNN tonight at 8pm ET and 5pm PT. New Friends from Coast to Coast...Yeah! Today SCF has two new media partners. One in Mass and the other in New Mexico. These two new media partners add to nearly 1,000 media partners working with SeeClickFix to deliver citizens' concerns to their governments and each other. As we grow SCF we are ever grateful for the 4th estate's willingness to disrupt at the local level. Both of these hyperlocal sites are providing a valuable service to their communities and we salute them for that. Thanks to Penny Fearon and Heatwatchnyc.org another neighbor's heat in NYC is on. A neighbor reported that their building did not have heat or hot water on the SCF widget embedded in Penny's website. Penny acted on behalf of the reporter and called the landlord herself to see if they could get the heat on and with much success. In New York City this is a phone call that would take 15 minutes to report to the the City which would then in turn might create a notice or fine against the landlord. The whole process for a single issue could cost the city hundreds of dollars. (Speculative opinion based on conversations with municipal workers) Aside from the cost savings there is the added benefit, through public documentation, of showing others that problems like this can be resolved by speaking up. A sort-of viral feedback loop through the network created on SeeClickFix. Today we have launched SeeClickFix on The Local East Village (LEV) blog, a collaboration between The New York Times and New York University's Arthur L. Carter Journalism Institute to cover New York City's East Village. Using SeeClickFix, the LEV hopes to raise awareness about different issues in the East Village. This collated information is directly available and can be viewed from the East Village watch area on the LEV site. We hope that local government officials, neighborhood groups and private individuals will sign up to receive notifications about posted concerns. Anyone can also follow posts within the East Village area via @SeeClickFixLEV on Twitter. As journalists, we particularly hope to use the information to help us report more effectively on neighborhood concerns and draw attention to them. We look forward to hearing what our neighbors think most needs fixing in the East Village. James Matthews is a contributor to The Local East Village and a member of the student development team for the blog. He is a graduate student at New York University's Arthur L. Carter Journalism Institute. Inc. Magazine just published their top entrepreneurs of 2010 that they love, and guess who made the list? SeeClickFix's very own co-founder Ben Berkowitz. Inc. stated that they "selected entrepreneurs who feel like discoveries and whose innovations or achievements excite us personally. Many of these people are on a social mission." Ben, along with 23 other entrepreneurs including big shots like comedian Will Ferrel, Chris Anderson of TED, and app developer Ge Wang were featured in exclusive articles explaining their road to success. Be sure to read Ben's spotlight along with the other 23 well deserving entrepreneurs! 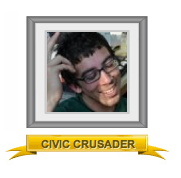 Today, the Huffington Post announced that SeeClickFix's co-founder Ben Berkowitz is the Greatest Person Of The Day. The Huffington Post poses the question, "Who are the people in your community who are responding to the economic crisis with creativity, generosity, and passion?" Users can answer this question by nominating who they think is "The Greatest Person Of The Day". Check out the article that features an exclusive interview with Ben and the Huffington Post! 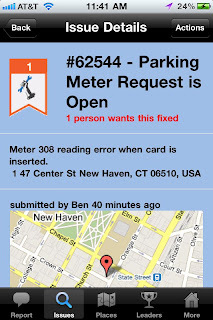 Eighteen days ago, issue #65289 was reported through the SeeClickFix mobile application in Providence, Rhode Island. A SeeClickFix citizen posted a broken swing located in Lippitt Memorial Park. It was reported just 4 days later on SeeClickFix that the swing was fixed!